The Ouachita Little Theatre: COME PLAY WITH US!!! Welcome to the Home Page of the Ouachita Little Theatre (OLT) the 2009-2010 and 2013-2014 Arkansas Community Theater State Champions! We are the performing arts organization in the town of Mena, Polk County, in the Western Frontier of Arkansas. 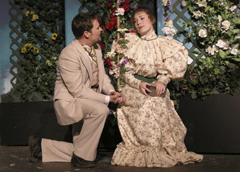 OLT’s mission is to plan productions, recruit qualified directors, perform shows for children and adults and produce workshops in the theater arts. We also bi-annually bestow the Benson Award, named after the first President of the OLT, Leda Benson, to deserving performers or contributors to the organization’s growth. 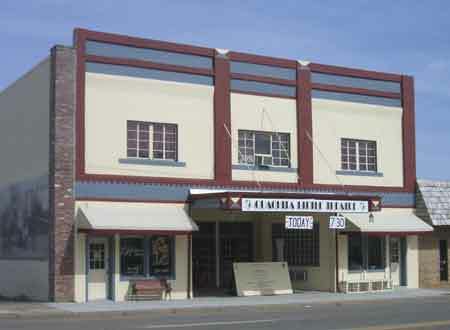 OLT encourages the development and showcasing of local talent in children and adults and provides the venue for their talent to be spotlighted in its theater at 610 Mena Street in downtown Mena. We are also a venue for performances by the Mena High School Theater Arts Program, have a road company (OLT on the Road), and are available for rental for performances by other individuals and organizations. For more information about OLT, acting, becoming a volunteer, renting the theater for your performance or event, or costume rental, visit the other pages in this website, call our information line at 479-243-0186, or email us at info@ouachitalittletheatre.org. To order tickets for any performance, online, just click on the Buy Tickets button on any page in this website. For more information about tickets, see our Advance Ticket Orders page.